Director's Dish: Thank you! Thank you! I took last week off from a lot of things, including Director's Dish, in order to recover from the last few crazy months of Walk to End Alzheimer's. I am still overwhelmed with gratitude and emotion. So many people work so hard, beginning all the way back in March, to make Walk day a success. Our volunteer planning committees, team captains, Walk day volunteers, our corporate sponsors and the many other businesses that support team fundraisers. I would surely miss so many if I began to recount the thousands of people that work to make Walk happen. When Walk day comes and goes, we all do feel a little bit of sadness and it takes us a few days to rewire our work days. But, the actual day after a Walk to End Alzheimer's is not an ending to an event, it is the beginning of a movement. Walk to End Alzheimer's is a rallying point in our fight against Alzheimer's - an annual meeting of family, friends, neighbors and co-workers. A moment to renew our resolve and recharge our batteries to continue the fight against a disease that has taken so much. Walk day is a celebration of the progress that we have made over the past year, and an honest look at the promise of a future. Walk day is also our opportunity to recruit new voices to our fight, and boy did we see that this year, with record numbers coming out to join our fight. Last week wasn't the end, last week marked the launch of a beginning. While there are so many to thank, I can not even begin to tackle that list here. I would like to take a moment to celebrate our staff's hard work, and especially our fearless Walk leader Kaarmin Ford. Every person went above and beyond the call of duty to make Walk happen. And, that is actually truly an understatement - our amazing staff tackles Walk to End Alzheimer's with heart, love, passion and enthusiasm. I am so lucky to have such great colleagues. Finally, in the thank you category, I have to say thank you to our families. Most of whom join in the Walk efforts as Walk day volunteers, team members and cheerleaders. You cope with our crankiness, absence at family functions and late working hours - but don't complain, only ask how can we help. You even drive four hours to pick up a cell phone from the side of the interstate and clean our house. We owe you big time! Living with Alzheimer's starts tomorrow! Living with Alzheimer's is a three-part education series for individuals in the early stage of Alzheimer's or dementia and their caregivers. For more information, call 800.272.3900. November is National Alzheimer's disease Awareness Month. Started 31 years ago, by President Ronald Reagan, NADAM is an opportunity to educate your friends, family and co-workers about Alzheimer's disease. Interested in offering a Know the 10 Signs workshop? Call 800.272.3900 or email wvinfo@alz.org. New gene variants identified: New study results, published online by Nature Genetics, reports 11 new genetic “areas of interest” in late-onset Alzheimer’s disease. They identified as many new Alzheimer’s-related genes in this one study as have been found in the last 15 years combined. The collaborative effort, spanning universities from both Europe and the United States, combines the knowledge, staff, and resources of four groups that conduct research on Alzheimer’s disease genetics. Pooling resources through, the collaborative team collected 74,076 participants (including people with Alzheimer’s and controls) from 15 countries. The researchers say that one of the more significant new genetic associations plays a role in the immune system and inflammatory response. This region has also been associated with multiple sclerosis and Parkinson's disease, suggesting that the diseases where abnormal proteins accumulate in the brain may involve a common mechanism. Dancing Through Time! The Dancing Through Time planning committee is getting started planning this year's event, to be held on March 22 at the WVU Alumni Center! If you are interested in joining the planning committee, send a note to Kim Matras, kmatras@alz.org! This is going to be a really busy week, meaning not a lot of time for cooking this week. I thought I would cook a whole chicken, then use the left overs the rest of the week. 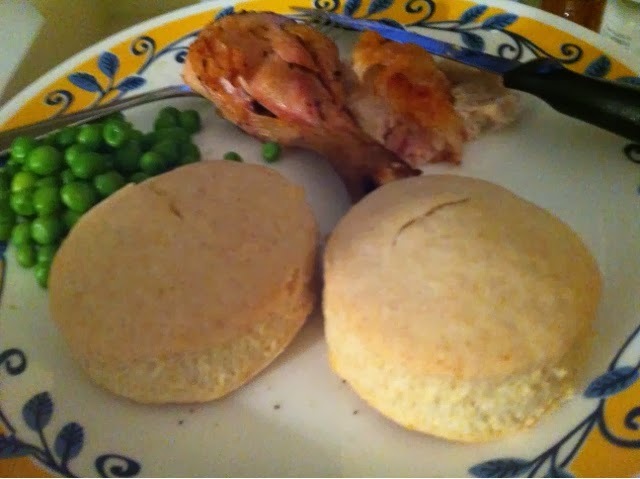 And what goes better with chicken than biscuits! 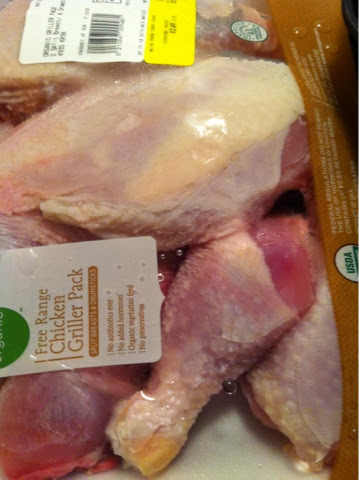 Instead of a whole chicken, I found this package of a chicken broken down. 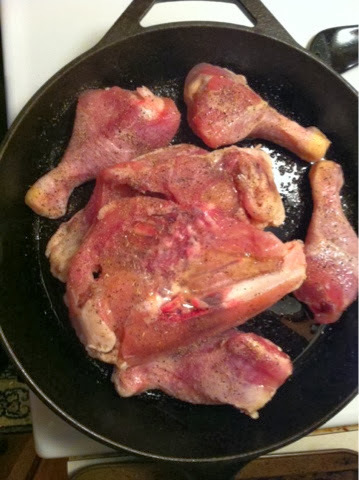 Place the parts in the chicken, skin side down in a skillet, then pop in a pre-heated oven at 350. 30 minutes into cook time raise the temperature to 400. 15 minutes later flip the chicken skin side up and cook for 30 more minutes, or until the the temperature in the chicken reads 180 degrees. Add in, 1 tsp. of sugar, 1/2 tsp of salt, and 1 tbs. 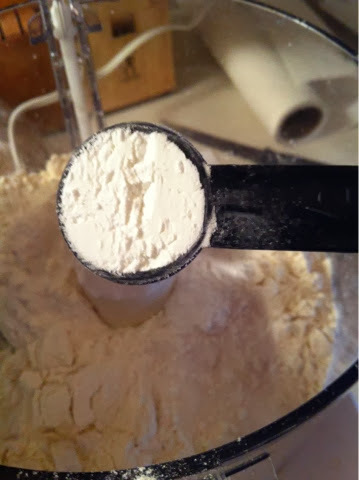 of baking powder. Drop in 8 tbs. 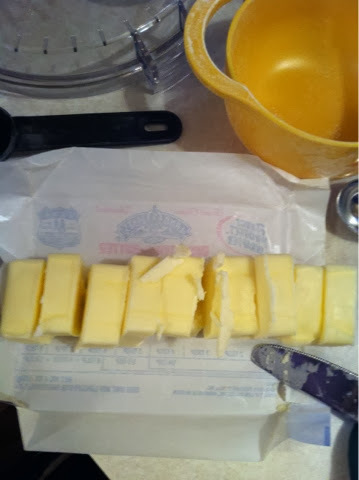 of cold butter. 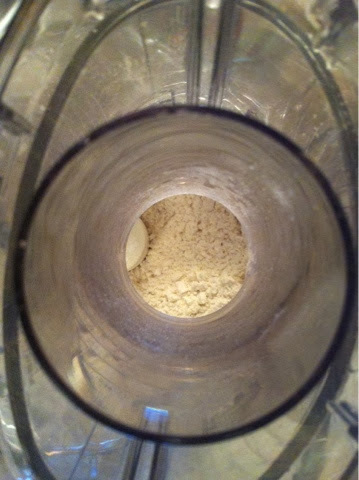 and blend until it it looks similar to cornmeal. 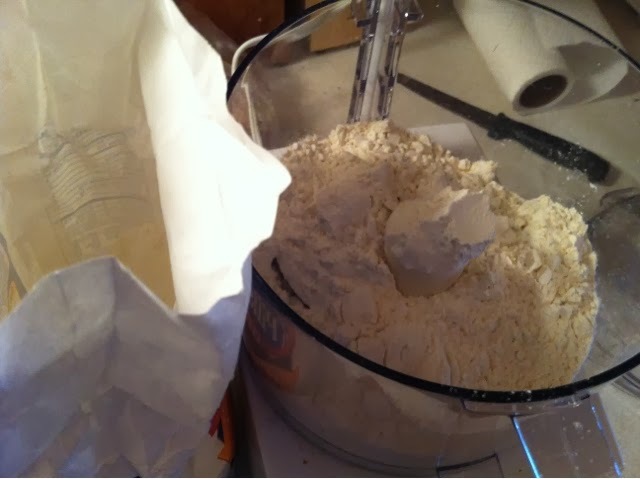 Add in 3/4 cup of milk, or until the dough starts to come together, but not too gooey. 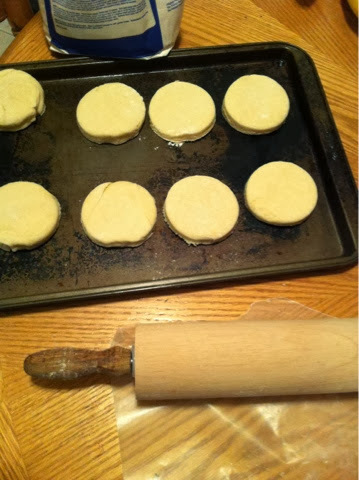 Roll out the dough, the biscuits are taking shape! 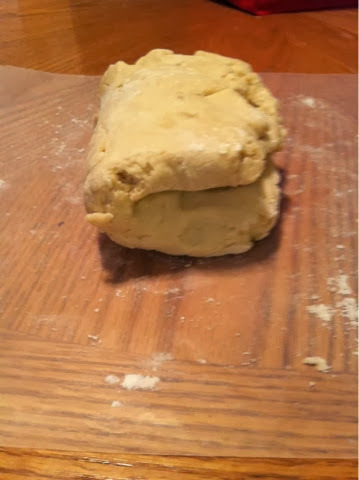 Bake for 12 minutes, hopefully they rise! Ok, I ate a few bites before the photo. But, I have plenty more in chicken where that came from...what to make tomorrow! !